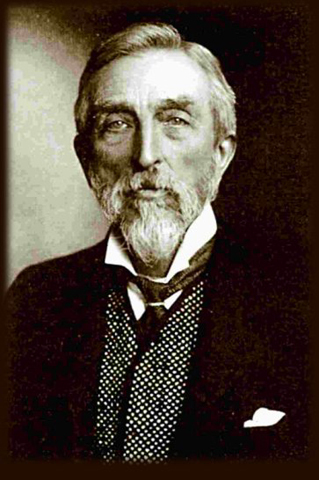 Between 1886 and 1902, Charles Booth, a successful businessman and social activist, worked on creating the first real study on the social life of London. Booth wished to discover how many people in London were living in poverty and to expose the problem as a real issue, instead of just an estimate by the politicians of the times, which they used to further their own personal agenda. London of the 19th century was a strange mix of poverty and extravagant wealth. By reading Booth’s detailed notes as he walked the streets, you get to see the social divide expressed in the landscape of London City. Color coded maps break down the city into the rich playground, and the poor slums. Each color signified a different poverty level. extremely poor people who live there. money and generally go without the basic necessities of life. poor, and the well off. owners and merchants, they have money to spend on the luxuries of life. there were stately homes, restaurants, shops and well dressed men and women, with money to spend. 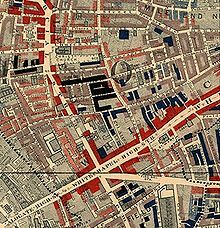 create his map of London’s poverty, Charles Booth followed policemen around on their usual routes. These policemen were familiar with the characters on their beat, and pointed out the trouble areas, where various illegal activities took place. Booth took copious notes, and to read them is like stepping back into a time capsule, allowing you to walk the streets as they once were, and experience the good and the bad. Using excerpts from these notebooks, I hope to introduce you to a good area of London and then the bad side of town, to experience the social and economic differences of London of the 19th century from the words of those who actually experienced it as it was. Rachel Pritchard is a Bachelor of Media and Communications student, who hopes to one day start her own blog and write her own book. She is happily married, with one beautiful bundle of mischief and two lively companions of the canine variety. She has an intense interest in history, an extreme love of books, and an interesting historical book is her idea of heaven. She also loves researching her family tree and finding her own Edwardian roots and is proud of her working class origins. Wow, this map is a great resource. Thank you so much for sharing! You described Charles Booth as a successful businessman and social activist. But not too many business men were interested in social action, community development or anything but profiteering. So what made Charles Booth stand up to be counted – religion? temperance? party politics? Thank you for a thoughtful article that makes this amateur historianwant to look deeper. Job well done. This was a wonderful share. I’ve seen maps of London and am interested in locals for my novel, but this spells out things very clearly. Thanks everyone. I found it extremely interesting to research and I am glad you found it an interesting read. Hels, from what I can gather, his research came from a deep interest in the poor and working class. Also a frustration in inaccurate figures being spoken by the politicians of the day drove him to find an accurate answer. So in my understanding, it was a little bit of politics and a little bit of personal interest. Booth taking an interest was not so unusual for the times. The nineteenth century was a time of a lot more of the middle class taking an interest in the poor and their lot in life because of a visible increase in poverty in this time period. It became in a way impossible to ignore, leading to social activism becoming more pronounced in all areas of society. I hope this answers your question. If you are interested in finding out more about social activists of the time period, I am happy to explore the personalities involved in social work in further posts.